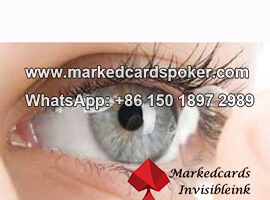 Infrared contact lenses is the best cooperation partner for marked cards as it can be used to read the back marked cards and not subject to any interference in any environment. 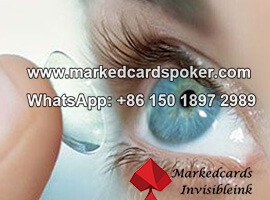 Different sizes of IR contact lenses based on the color of your eyes will bring a higher level of comfort and experience. 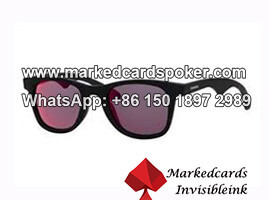 Advance technology named "Sandwich" apply to process our cheating cards lenses. 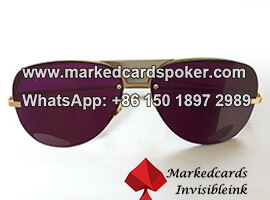 With such lens, we completely settle the issue that read the luminous ink marks on the back of invisible ink marked cards. 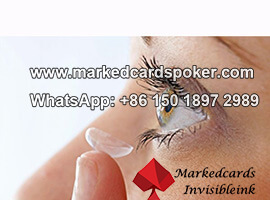 When comes to the method of preserving this special contact lenses, it is quite differ with the storage method of transparent contact lenses. 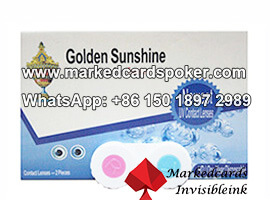 Because we soak the marked cards contact lenses into pure water rather than care solution to keep their longer life. 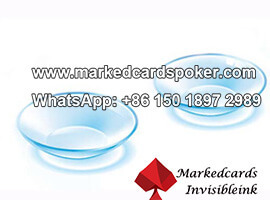 Being a lucky man with our invisible ink contact lenses in Texas Hold'em or Omaha games. 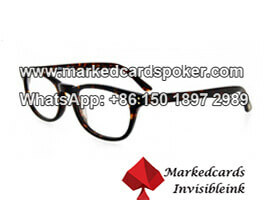 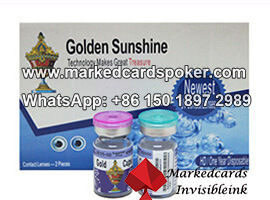 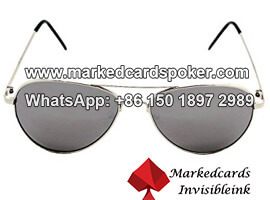 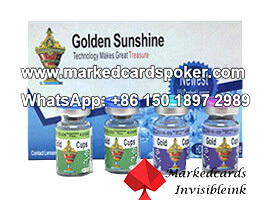 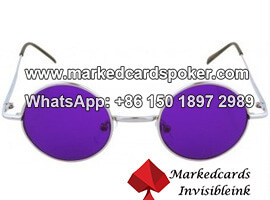 Although the luminous ink kits used to mark playing cards are vary widely, you can always find the best marked cards contact lenses without changing the original color of your eyes. 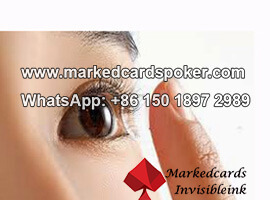 Even though those infrared contact lenses for sale can't work with poker analyzer to predict poker game's result in directly, It can be completely immune to radio waves when working. 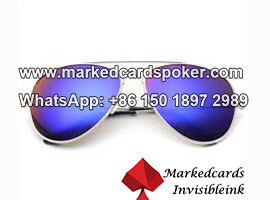 In addition, you are always smart in any poker game, such as Texas Hold'em, Omaha, Blackjack, Baccarat and so on.